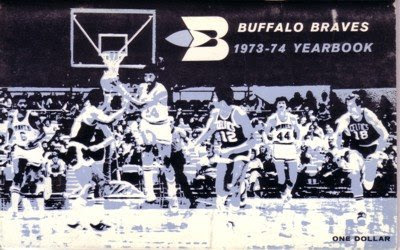 A look back at Buffalo's NBA franchise. In the spring of 1973, the nation's most-discussed basketball player might have been Ernie DiGregorio. The 6-foot guard from Providence College was in the midst of having a magical senior season. A classic gym rat, DiGregorio seemed like the type of college player who would dribble a basketball to class. After all, he always seemed to have the ball when Providence played. DiGregorio was a positively brilliant passer, particularly on the open court. When necessary, he could hit the open jumper. DiGregorio was a step slow and not known for his enthusiasm on defense, but his other skills compensated for that on the college level. Providence coach Dave Gavitt took a look at his team, that also included two other future pros in Marvin Barnes and shooting guard Kevin Stacom. Gavitt called DiGregorio into his office and told Ernie that he'd be in charge of the basketball that season. "That was a heck of a thing for a coach to do," DiGregorio said later. "We didn't call a set play all year. We never came down the floor and yelled out 'one' or 'two' or 'three.' We just played." Providence went all the way to the NCAA Final Four that season, but lost Barnes to an injury along the way and was eliminated despite DiGregorio's efforts. After UCLA claimed the national title, DiGregorio went on to play for the United States in an exhibition game against the Soviet Union. He was brilliant. The image of DiGregorio dribbling out the final seconds of a win in Madison Square Garden brought up images of Globetrotter Curly Neal running circles around the Washington Generals. Every step of the way that year, DiGregorio's asking price to join a pro team was rising -- particularly for one that needed a gate attraction and a point guard. Would it be too much for the Braves, a team that fit that description, to ask for DiGregorio to slip down to third in the NBA draft? No. Philadelphia, coming off the worst season in NBA history, had the first pick and opted for Doug Collins, a tall, quick guard who was the best player available. Cleveland opted for size in forward Jim Brewer. Buffalo went third and took DiGregorio. The next issue was signing him. "That was when the ABA was going strong," said Bob Powell of the Courier-Express. "I think it was Kentucky -- John Y. Brown was negotiating for him. Ernie was hot at the time, and he was in the driver's seat. He let John Y. and Paul Snyder bid. Two million, 300-thousand dollars or so later, DiGregorio was a Brave. He showed that he was a gate attraction right away. A crowd of 10,280 went to Memorial Auditorium to watch a rookie game between the Braves and 76ers. Or, they went to see Ernie D. He did not disappoint, piling up 27 points and eight assists. His best pass might have been an imcomplete one; he was falling out of bounds when he threw an 50-foot behind-the-back pass that just miss hitting its target. The crowd buzzed for minutes. A guard like DiGregorio required a certain type of mindset and supporting cast. For the rookie to be effective, the Braves had to run and shoot. General manager Eddie Donovan, who really hadn't done much manuevering in his first three years in the job, finally sprung into action. The Los Angeles Lakers had just lost Wilt Chamberlain to retirement, leaving a gigantic opening at center. So they gulped and traded one of their best young players, small forward Jim McMillian, to the Braves for Elmore Smith. McMillian had played in the league for three years and started for two, averaging 18.9 points per game in 1972-73. McMillian was a purist's delight, a smart player who was always in the right position and scored his points quietly but often. McMillian was a good match for two of the other small forwards in the Braves' division, Boston's John Havlicek and New York's Bill Bradley. Bob McAdoo could replace Smith at center. There wasn't much public outcry over Smith's departure, despite some impressive numbers in his two NBA seasons. "There was a certain amount of disillusionment with Elmore," said Milt Northrop of the Buffalo News. "He had come in with a big buildup. He was Buffalo's first legitimate draft choice. ... He was so big, and in his rookie year he played some great games. One game against Boston, he had about 25 points in the first half against Dave Cowens of Boston. The Braves took a good lead, but then Cowens did things the way he could and outplayed Elmore. Elmore also played some super games against Kareem (Abdul-Jabbar). "But his knees were a problem. He was playing a lot of minutes, and there were games he couldn't play that much. One night he was playing a magnificent game against Kareem, outscoring him and making him work on defense, and then going after a ball he twisted his knee and his good performance went down the drain. Smith also reportedly annoyed the team's front office by asking for a new contract during the previous season. Besides, many realized McAdoo would be the better option especially with DiGregorio on the roster. Smith had two decent seasons in the Lakers before going to Milwaukee in the Kareem Abdul-Jabbar trade. He played eight seasons but was never as good as he was with the Braves. The Big E might have been the most underrated player in Braves' history. Donovan wasn't finished yet. He sent John Hummer and a draft choice to the Chicago Bulls for Gar Heard and the unsigned Kevin Kunnert. Hummer certainly wasn't going to fit in with a high-octane offense, so he was better off elsewhere. In this case, "elsewhere" turned out to be in the business world after three more years in the NBA, as Hummer did very well financially. Kunnert, taken 12th overall in the first round of the 1973 NBA draft, at the time was considered an important part of the deal. Heard was supposed to supply depth, but turned out to be much more than that. He was 6-foot-6 and could run and rebound, a good fit for what the Braves wanted to do. Just like that, the Braves had themselves a brand-new roster with nine new players, even if Buffalo's fans wouldn't have as many chances to see it. The front office had opted to try moving nine home games to Toronto. The idea was to made it easier to buy season tickets and increase demand in Western New York. Unsaid was the implied threat of a move if Toronto took to its new home team. It took a little time for the pieces to come together, but slowly that started to happen. Buffalo had its first winning month in history, going 6-4 in October. It actually led the division briefly, prompting DiGregorio to say, "How about that. They said it couldn't be done." Heard took over for Bob Kauffman as the starting strong forward, as Kauffman lost his starting job because of an injury. "It was diagnosed as a groin injury initially, but then Steve Joyce, a super orthopedic man, said, 'Bob, it's not responding, let's take a picture of it.' It showed symptomatic arthritic condition, because it was a misalignment of the bone. Within a year and a half of my being an All-Star, it ended my career as a Brave," Kauffman said. Ken Charles, Dave Wohl and Lee Winfield backed up DiGregorio and Randy Smith, who didn't need an excuse for wanting to play in a more athletic style. Even Ramsey was a little surprised about how it came together. "There's no way of knowing that," he said. "That's your objective, and get your team together as quickly as you can. It worked well. Their skills were compatible for a running game. We were not strong physically. We were not a defending team. But we could run. We had the ability to pass the ball and shoot it well, and we had good overall speed." The team's biggest problem was scoring from the bench. Points weren't coming from anywhere when the starters left the court, and Buffalo needed a bit of a boost to get over the hump. Donovan provided the answer on Feb. 1 when he sent Wohl and Kunnert to Houston for Jack Marin and Matt Goukas. It was a great fit for the Braves. Kunnert wasn't going to play much with McAdoo on the scene. Marin may have been past his prime, when he was an outstanding small forward for the Baltimore Bullets, but he could still score in a hurry. Goukas was a useful guard off the bench. The tempo of the Braves' offense seemed to get faster as the season went along. McAdoo was unleashed at center, averaging about 30 points per game and causing matchup problems for everyone else in the league. Think Dirk Nowitzki, 30 years earlier. DiGregorio was racing down the middle of the court, handing out more than eight assists per game and keeping the ball enough to score 15 points per game on his own. The franchise milestones came one after another. The Braves won three of four on the West Coast around the first of the year -- including a Jan. 1 game in Portland in which DiGregorio set a rookie record with 25 assists -- and then beat the Knicks in Madison Square Garden on Jan. 5 for the first time ever. McAdoo played in his first NBA All-Star Game, scoring 11 points in 13 minutes. Buffalo beat the Celtics on Feb. 27 for the first time in its history (22 straight losses), and just to make sure the point was made, the Braves beat Boston again, 110-94, two nights later before 18,023 in the Aud. One of the most memorable wins came in-between those two victories over the division's bullies. The Milwaukee Bucks were headed to the NBA Finals that year, and had such stars as Abdul-Jabbar, Oscar Robertson and Bob Dandridge. On Feb. 19, the Braves recorded a stunning 145-109 win over the Bucks. Two nights later, they beat the Knicks in Toronto by 22. Clearly, the Braves were tough to outscore on some nights. "I've had to alter my theories on defense," coach Jack Ramsey told Time magazine. "To be defensive, you need a physically tough center and toughness at other positions. We can't be tough with DiGregorio at guard and McAdoo at center. Instead, we outrun and outshoot our opponents." Buffalo clinched a winning record with a win in Golden State on Mar. 21. The team lost four of five on that season-ending road trip, but it didn't matter much. Buffalo already had wrapped up its first playoff berth in history, clinching it with a win over Portland in Toronto. Its 42-40 record was fourth in the Eastern Conference. McAdoo led the league in scoring (30.6) and field-goal percentage (.547), a rare combination. He was a second team all-league pick. Donovan was named executive of the year. All five starters averaged at least 15 points per game. The team averaged more than 10,400 fans per game, its best such figure to date. Sellout crowds were expected for Buffalo's first NBA playoff games, against the Boston Celtics. After all, the Braves had finally gotten over the psychological hump of beating the Celtics in the regular season. But Boston was experienced, deep, talented, and hungry for its first NBA title since 1969. The first-round format featured alternating home games. The Braves only scored 97 points in the playoff opener and dropped Game One, but responded with a 115-105 win in Game Two. Boston held serve in Game Three, winning by 120-107 with Havlicek scoring 43 points. Game Four was a classic. Neither team could get much of a lead, and the Celtics tied the game at 102-102 to set up a memorable finish. The Braves came down for the last shot of regulation time, and McAdoo, surprisingly, missed it. But Boston didn't box out McMillian, who was alone under the basket for the follow as the buzzer sounded. The 104-102 win tied the series and sent 18,119 fans into a frenzy. The good feelings only lasted for a couple of days, as the Celtics won Game Five, 100-97. Back in Buffalo for the sixth game of the series, the two teams again went back and forth. The Braves trailed by four points with 20 seconds left, but McAdoo scored two baskets, raising his total to 40, to tie it. This time it was the Celtics with the last shot, though. Jo Jo White of Boston took it and missed it, but McAdoo was called for a foul right at the buzzer by referee Darell Garretson. But was it before or after the end of play? "Jo Jo contends to this day that he was actually fouled before the buzzer," Smith said years later. What's more, if the foul came before the buzzer, shouldn't the Braves have been given the ball for one last shot? Nope. With all of the players waved away from the free-throw line, White missed the first free throw but made the next two. Just like that, the Celtics had won, 106-104, and the Braves' season was over. Boston went on to win the NBA championship over the Milwaukee Bucks. Buffalo and its 18,237 fans in the Aud that night were left waiting for next year. For statistics on this season, click here. I followed the Braves from their beginnings (I shared a season ticket with some colleagues) and the high point was, indeed, that twonderful season. You did a beautiful job in bringing back such thrilling memories. Too bad that John Y. Brown ruined the team in his efforts to move them out of Buffalo.